The thumb is the most important finger in the hand. It is called the king of fingers. Astrologers also say that a the thumb reveals more about a person’s life and choices than any other finger in the hand. 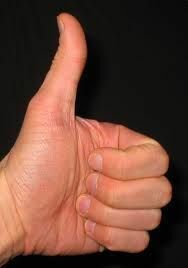 A person who has a long thumb has a very fast thinking ability. He achieves success in society with his intellect. His long thumb indicates his confident nature and ability with which he dares to undertake challenging works. His natural qualities enhance his success. People with long thumbs influence other people in their surroundings. They have an interest in mathematics and technical subjects. Small thumb indicates a thoughtful nature. He follows his heart instead of the mind. He has an inconsistent nature and cannot take decisions at the right time. Thus he may act according to the decisions and suggestions from others. People who have short thumbs are fond of music, painting, poetry, writing and other art forms. A Hard thumb means the person is very aware and confident of his actions. He rests only after he completes the task given to him. He tries hard to incorporate thought and softness in his nature but may fail to do so. As he acts only after thinking a long time, he may be considered cautious by those who know him. He does not give any space to imagination in his work. People who have soft thumb have adjustable and cordial nature. They know how to deal with a situation and make the best out of it. In adverse circumstance they are able to keep a positive outlook towards life. Astrologers says that they are ambitious and know how to gain wealth in their life. While determining the character of a person if he has an ideal thumb it means his nature is very calm. Thumb bent towards the wrist making an angle higher than 90 degrees from the index finger is called an ideal thumb. That means it is inclined from 90 to 180 degree from the index finger. The individual who has the ideal thumb has amazing self control and patience. He doesn’t lose his temper easily and is very much aware of his work and duties. Usually people having ideal thumb are artistic and kind. A Thumb which stands straight like a pillar and soars parallel with the index finger making a 90 degree angle is categorized as a straight thumb. It is firm and has a strong bony structure. 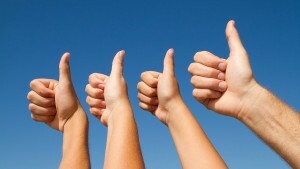 Straight thumb indicates that the person is very laborious and will achieve success through his hard work. Palmists say that person with a straight thumb are neither good as friend nor as enemy. So a proper distance should be kept from them. They can be often so vindictive that a small debate can create a desire for revenge in their minds. On the positive side, they are just as quick to cool as they are to heat up. Thumbs which are slightly leaned towards the index finger and makes an acute angle less than 90 degree is known as acute angle thumb. 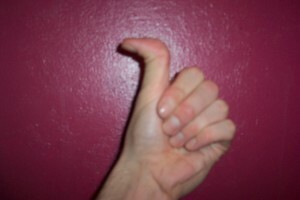 This type of thumb is of low height with an unusual structure. The person who has this thumb is may feel despair and have problems with the self.